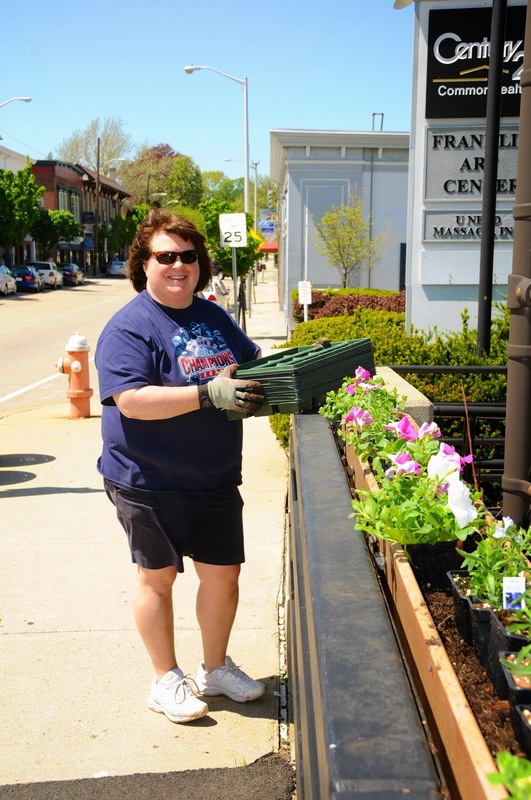 Join the Franklin Downtown Partnership and the Franklin Garden Club and help add a colorful touch of spring to downtown and the Town Common on Saturday, May 16. Volunteers and sponsors are needed to help with the 12th annual Beautification Day from 9 a.m. to Noon, rain or shine. This year’s color scheme honors American service men and women. 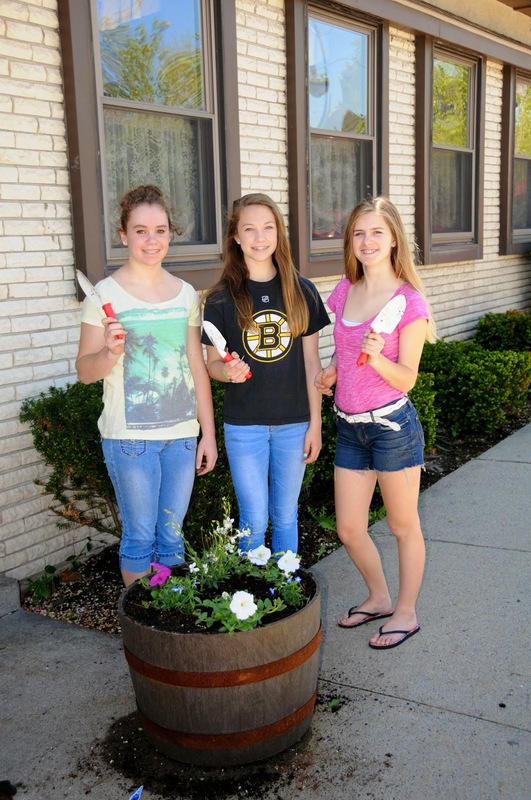 “We chose a patriotic theme this year to remember those who have served and continue to serve our country both at home and overseas,” says Eileen Mason, Beautification Day chairperson. Red, white and blue flowers and greenery will adorn the Common’s memorial gardens as well as the planter boxes along the bridge and in front of several businesses downtown. The plants will be hardy enough to withstand full sunlight and this summer’s harsh construction environment. Residents interested in volunteering, especially students in need of community service hours, should contact Eileen Mason at emason11@verizon.net. Volunteers will meet at 9 a.m. on the center island in front of the Rome Restaurant. 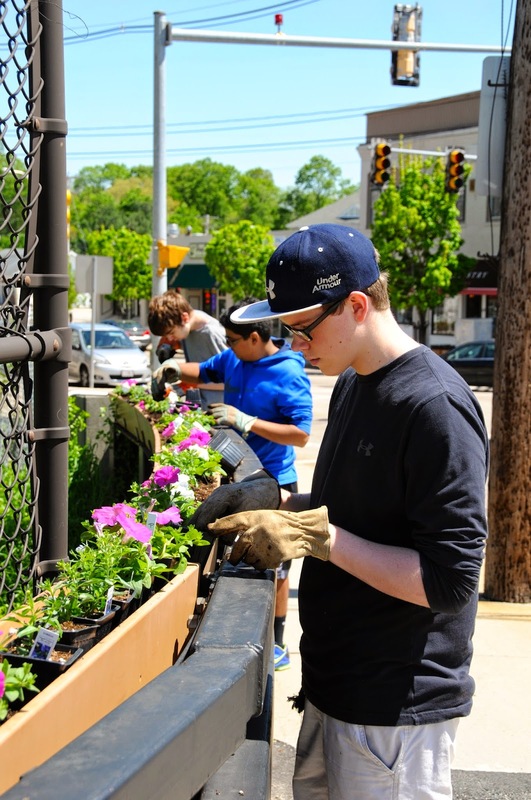 According to Mason, the Franklin High School hockey teams and volunteers from the YMCA will once again pull on garden gloves and help spruce up the downtown to create a welcoming environment. Sponsors and donations are needed to help cover costs associated with the beautification committee’s year-round efforts. Tax-exempt donations help with planning, installation, and maintenance of the spring plantings and holiday decorations. For as little as $150 businesses or residents can sponsor the group’s efforts. All sponsors will receive acknowledgement in the local papers and on the Partnership’s website and social media. 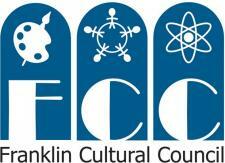 More information about sponsorship and volunteer opportunities can be found at www.franklindowntownpartnership.org. The Franklin Downtown Partnership is a nonprofit, 501©3 organization made up of business owners, community leaders and residents working together to stimulate economic development downtown and create a positive impact throughout the area. The FDP currently has over 200 members and welcomes all businesses and residents. For more information, please contact Executive Director Lisa Piana at (774) 571-3109 or downtown.franklin@yahoo.com. Click here to download the 2015 Beautification press release.